This watch is beautiful the picture does not give it justice. I like the weight and the face of the watch and would tell you if your looking at it GET IT. 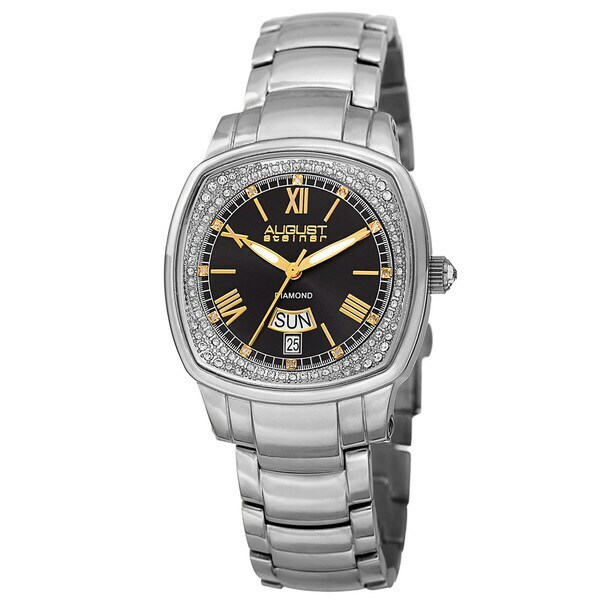 This women's August Steiner watch features an alluring cushion-shaped case. The colored dial features Roman numerals encircled by Swarovski crystal. The Swiss quartz movement and multifunctional windows create a seamless combination of luxury & function. I love this watch. Looks much better than expected.